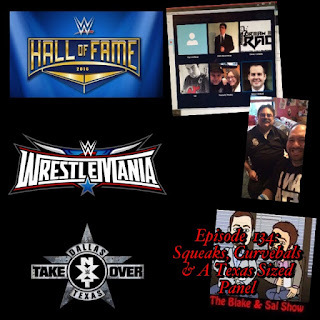 It's Wrestlemania week and the guys have a jammed packed panel to discuss Mania, NXT Takeover: Dallas and have a ton of fun in between. Note: Stay tuned after the credits for a big announcement! 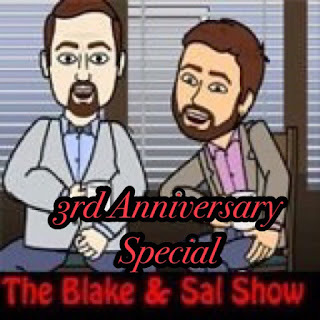 Blake & Sal celebrate their 3rd Anniversary in podcasting by checking in on their WWE Mock Draft, answer the question if Vacant is the greatest champion in wrestling history and talk about their lives if it was a musical. 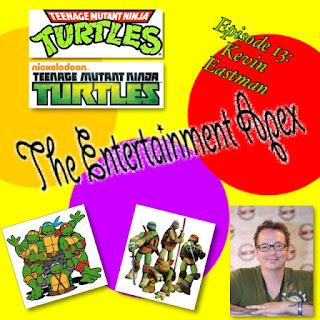 Blake sits down with the co creator of the Teenage Mutant Ninja Turtles, Kevin Eastman to discuss the upcoming crossover episode on Nick, how the Turtles have lasted for as long as they have and more. 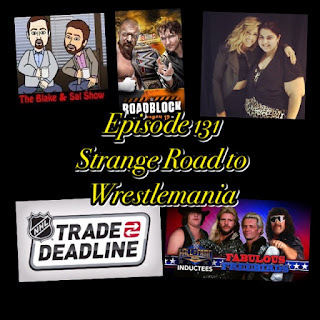 For the first time, special guest host Kim takes over to talk about her experience at WWE Raw in Philly on the road to Wrestlemania Texas Star. The Milwaukee Admirals are moving, Shinsuke Nakamura is finally coming and Sting is officially retiring. 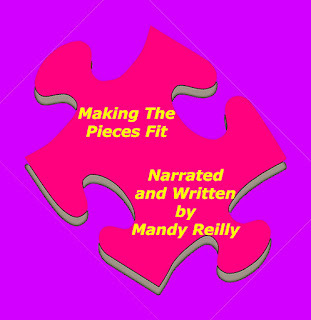 All this, Mark is in studio and much more! 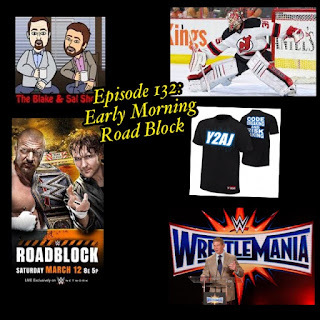 As Sal recovers from late inventory, the guys preview WWE Road Block, discuss Wrestlemania 33 in Orlando, various tributes and a report from WWE Raw in Chicago and check in the Milwaukee Wave playoff run. 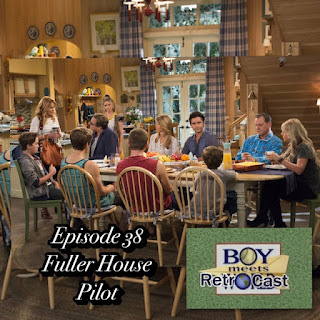 Blake and Kyle break format once again to discuss the Fuller House pilot episode, Our Very First Show, Again in full detail. It's a fun time as they discuss their history with Full House and discuss what could one of the best pilot episodes they have ever seen. 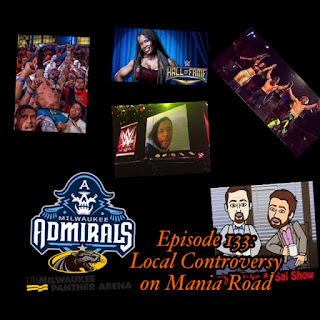 The guys check in on the road to Wrestlemania, some strange news, audio from Mandy at the Rachel Platten post-Admirals game concert and discuss their favorite WM entrances of all time.